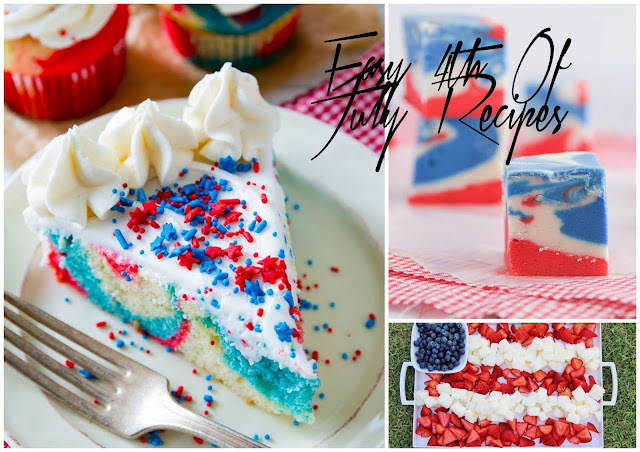 For the 4th of July I put together a list of 3 desserts that you can make for the festivities tomorrow! They're all pretty easy and look super yummy. 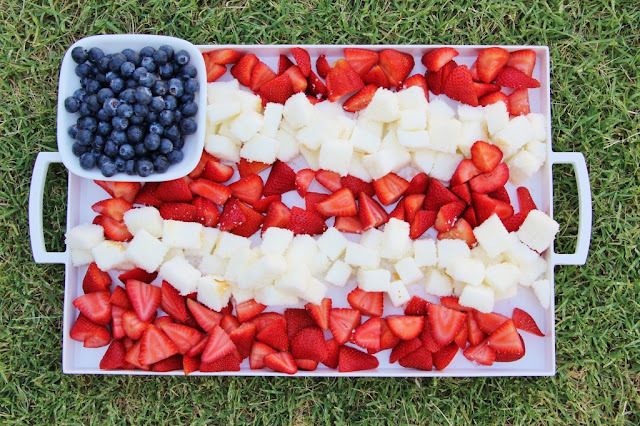 First off from the blog Around my Family Table, Wendy put together this Americana platter with blueberries, strawberries, and white cake. What makes this simple is the cake is store bought! 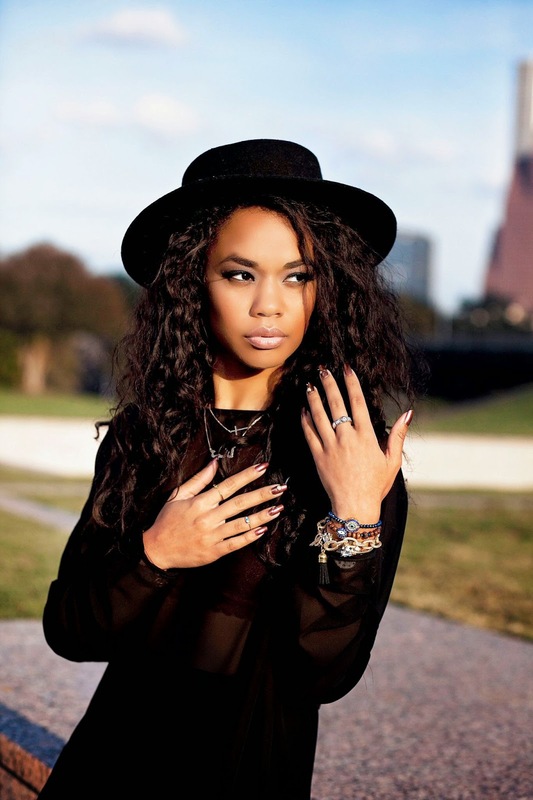 This platter with a sliced Patty Labelle cake? Yes please. This is by far the easiest platter on my list if you are in need of a last minute thing to take to an event. Fudge is a tough one because if you're outdoors its probably not the best snack, but if you're just fat like me and want to have it around this recipe is easy and fun. 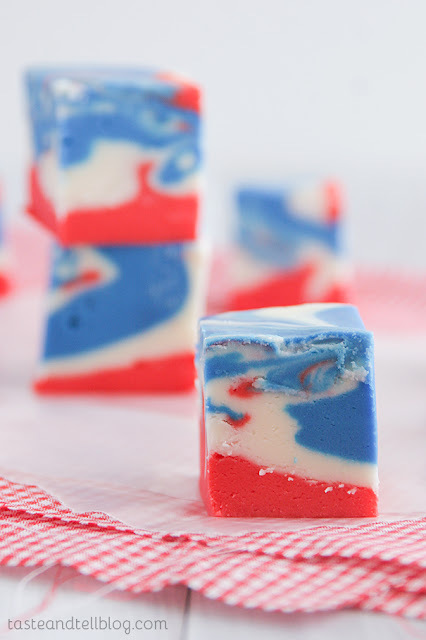 It basically takes white fudge and some patriotic dyes to make this snack. 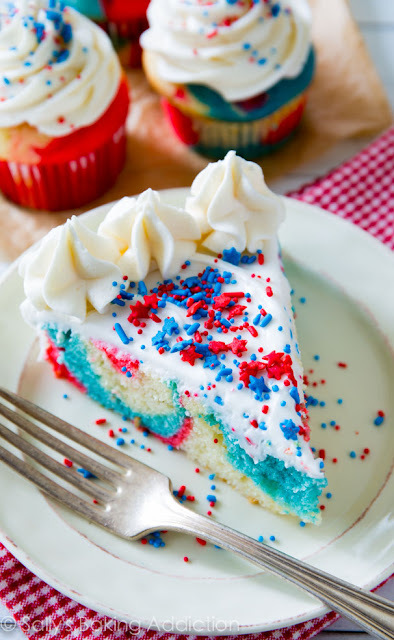 Last, if you are 'bout that life, a patriotic tie dye cake screams your name. It takes the same principles of having separate bowls for Blue and Red mix but looks so great when you are done. If you are in a hurry, you can use a box cake mix as well. Sally is gluten intolerant so she has a recipe to accommodate that. If you can eat whatever, box white cake is an easy way to go for this one. I personally would probably use the batter for cupcakes. OMG I am getting so hungry while writing this post. I'm sharing all of these but am trying to cut sweets out of my life. Not completely, but down at least. Like if I made this fudge recipe I don't think I would share it. I just want abs y'all, is that too much to ask?